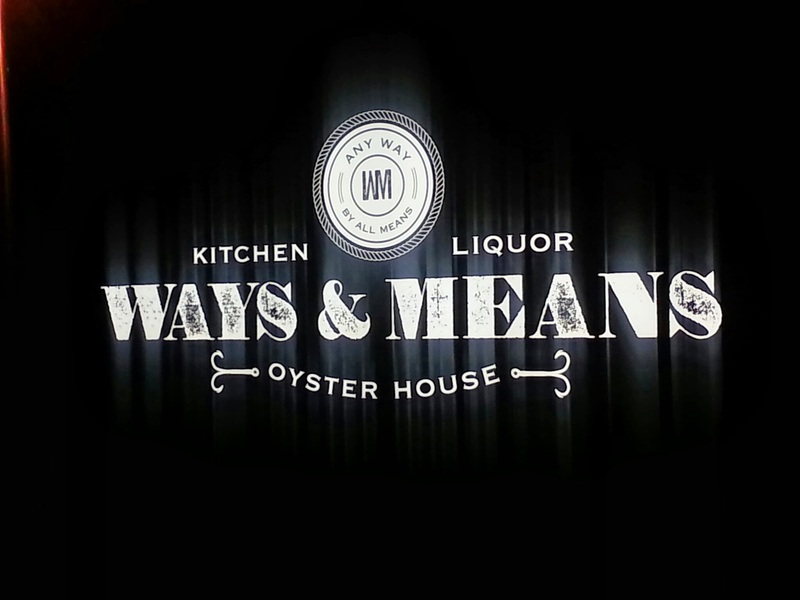 Ways and Means is a New England style Oyster house located in Old Town Orange (has moved to Pacific City in Huntington Beach) that is a casual, yet fine dining establishment with a wide variety of menu items for everyone. 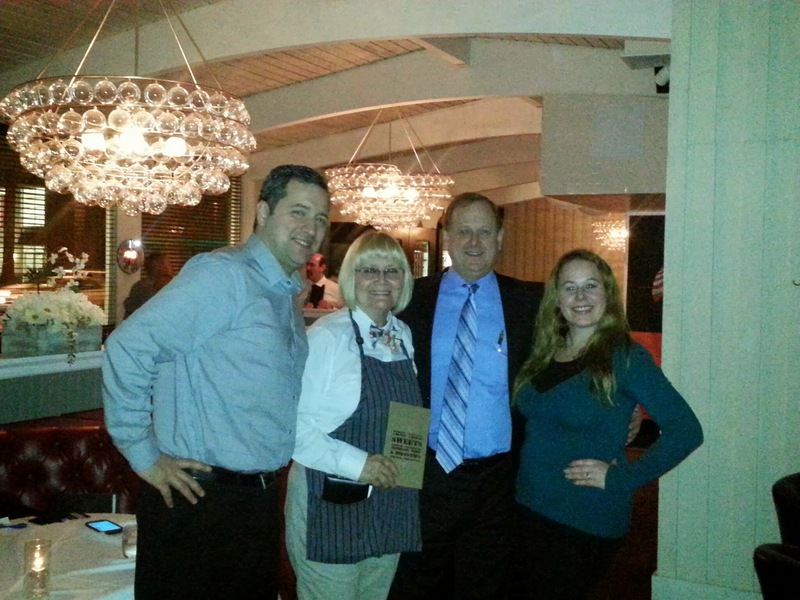 There are items that range from seasonal seafood dishes to 40-day dry aged steaks. 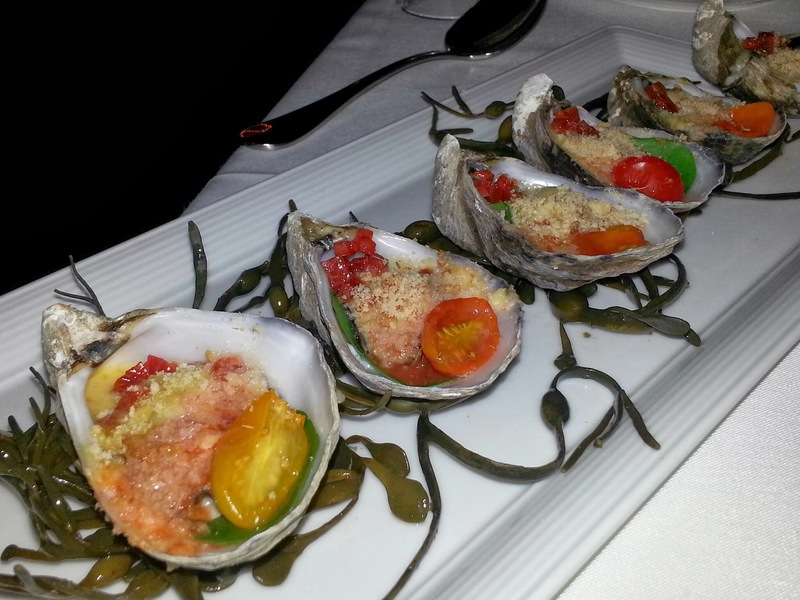 Chefs de Cuisine Benjamin Wallenbeck and Justin Odegard also provide a distinctive oyster selection. For a beverage selection, there are classic cocktails, rum flights, and a variety of well-priced wines ideal for pairing with entrées. 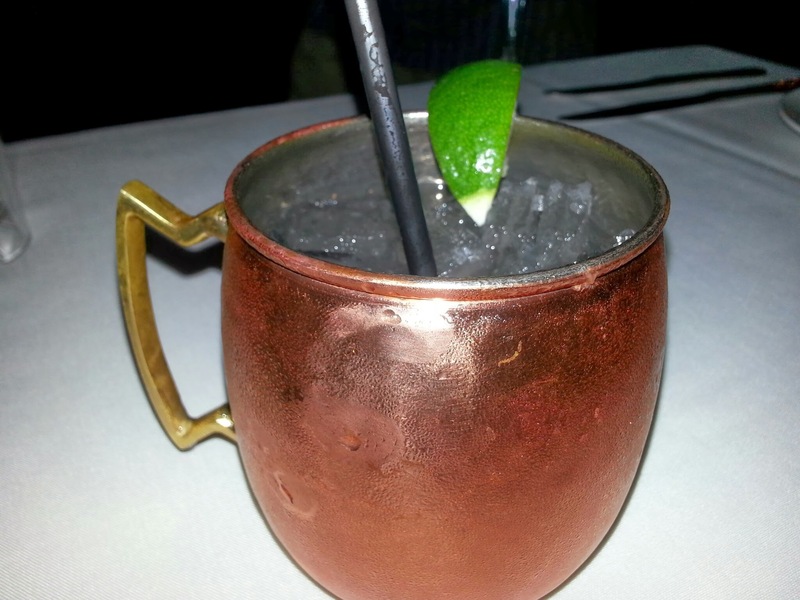 Ways and Means inhabits a casual and relaxing atmosphere, yet also upscale with fancy décor. To start our dining experience we ordered a few cocktails, which included the Maid in Mexico made from tequila, cucumber mint, and fresh lime, the W&M Mule, made with Tito’s Vodka, Regatta Ginger Beer, and fresh lime and the Windward made with Ballast Point Three Sheets Rum, Elemakule Tiki bitters and fresh lime. Each of these cocktails was unique in their own flavors and I enjoyed each of them very much, but I would have to say my favorite was the Maid in Mexico. It reminded me of a mojito, but instead of using rum there was tequila. This drink was done quite well! With our cocktails, 2 types of oysters, as well as 3 appetizers were served based upon our selections. I was visiting the restaurant with my husband and a friend and they are both big oyster people, where as I am not, so they delved into the oysters while I became very excited about our appetizers we all enjoyed. The two oysters that were presented included raw oysters, which you could dress yourself and the Hot Naked Oysters that were decked out with chorizo, breadcrumbs, watercress, hot sauce and hollandaise! Our appetizers were lobster bisque with fresh cream, smoked salmon deviled eggs with wild watercress and lemon oil, and salmon rillettes with red onion, watercress, and lemon aioli. My favorite, you ask?? Great question, but they all really blew me away. I really loved the Salmon Rillette because it was so unique in flavor and texture. I had never had this dish before and it was served with delicious buttered crunchy crostini. I will definitely be ordering it again!! I am a huge salmon lover, so the salmon deviled eggs were right up my alley as well. The lobster bisque was smooth and creamy and there were nice chunks of lobsters in it as well which made for a pleasurable experience. 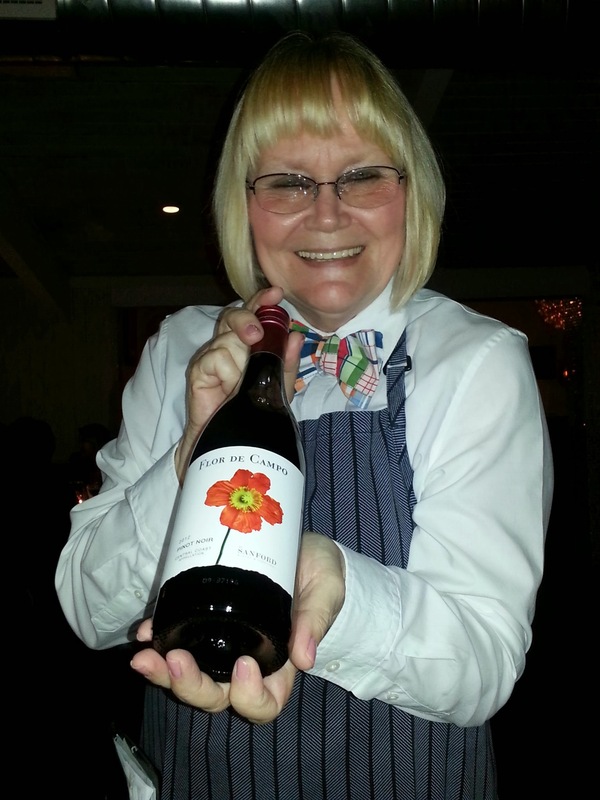 Prior to dinner being served, we ordered 2 different wines, one was a Flor De Campo Pinot Noir – Santa Barbara County 2012 and the other was Expedition Cabernet Sauvignon from Washington (Horse Heaven Hills) from 2011. Both of these wines were quite pleasing to the palate and had very smooth flavor. They both paired well with our entrees to come. these entrees were lovely and were nicely paired with our vino. They both had two entirely different flavor profiles, but in selecting these two entrees, it showed me that the chef really has a wide array of talent for different types of dishes. Both dishes were beautifully done and I would order both of them again. Portion sizes were decent as well and I was happy to have lunch to devour the next day. Our entrees also were served with some fabulous sides with consisted of the Colcannon Creamy mashed potatoes that were decked out with arugula and scallions and just enough butter to make my mouth water and my taste buds crave more. 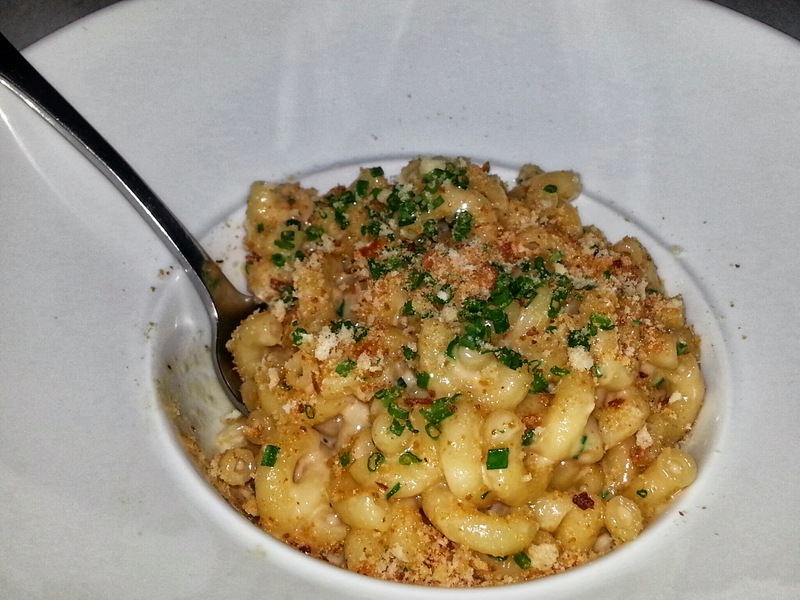 We also had a side of the Lobster Mac & Cheese…delectable in one word!! There were nice pieces of lobster amidst the pasta and the cheese was a perfect blend! Did you think we were ending there??? No way…time for some dessert! 🙂 We selected a lovely after dinner wine from Spain called Costa Diva that was a 2010 Muscat. This was a very sweet wine with an orange flavor. 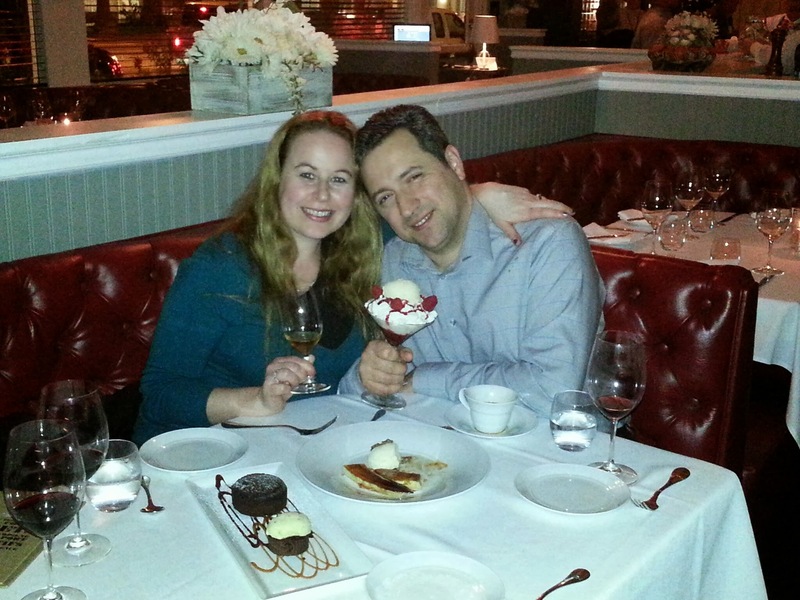 Along with our dessert wine, we had the Bananas Foster, Warm Valhrona Chocolate Cake with pistachio ice cream, and the Strawberry “Eat and Mess” Meringue! Somehow we managed to find somewhere to fit these delectable desserts in our tummies after this fabulous meal because we almost cleaned our plates! My personal favorite was the bananas foster, but you really could not go wrong with any of the choices above! 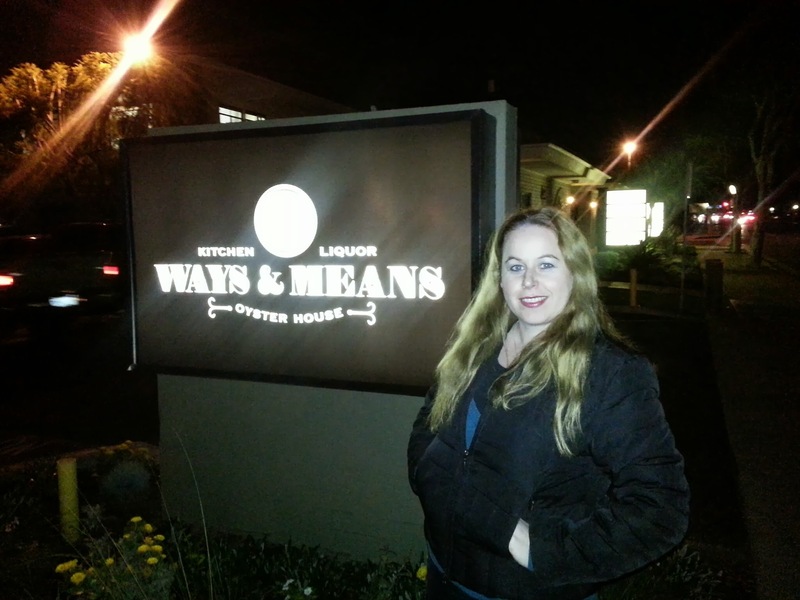 I have some great news for all of you that would like to dine at Ways and Means! This week is Orange County Restaurant Week and Ways and Means is participating, which means you can check them out while there are Prix Fixe menus going on and have an opportunity to sample a wide variety of the items mentioned above for one set price, so head in soon to check it out. If you are reading this after the fact and restaurant week is already over, there are also always up and coming deals going on at Ways and Means. One of the specials that are currently offered right now is “Maine Lobster Mondays” in which fresh, 1 lb. Maine lobsters are served for the special price of $9.99. This deal is going on every Monday from 11:30 a.m. until they sell out. Also, with this offer, guests seated at the exhibition oyster bar will also be treated to a complimentary pour of wine. This deal is for now, but be sure to check Ways and Means current specials when you head in to dine! Let me know what you think of this fabulous establishment below! I AM an oyster fan, so I’m excited. Thank you for posting this. The food looks yummy. 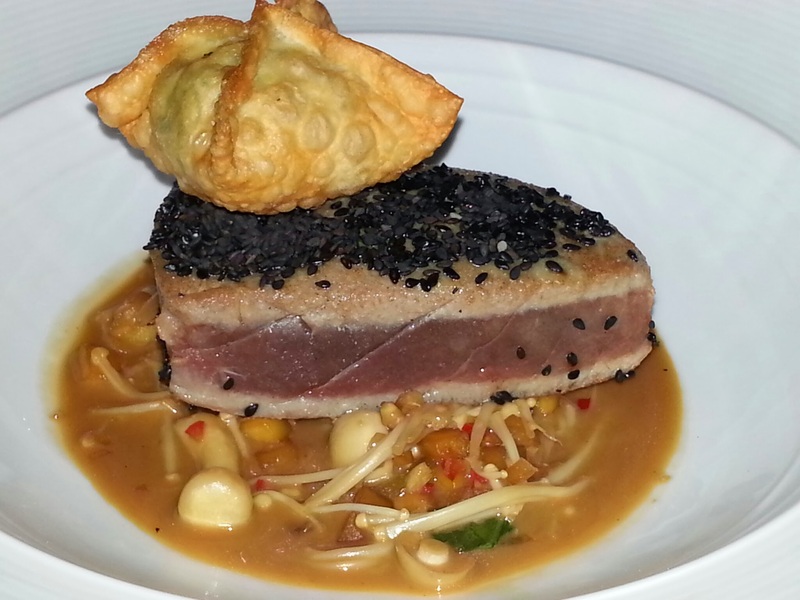 The Seared Tuna with wasabi sesame crust and the Roasted Duck Breast with butternut puree looks unbelievably tasty. I wish I could go to Ways and Means to order that right now. Great post. Ways and Means tonight alright. Fabulous entrée & sides..can’t wait! 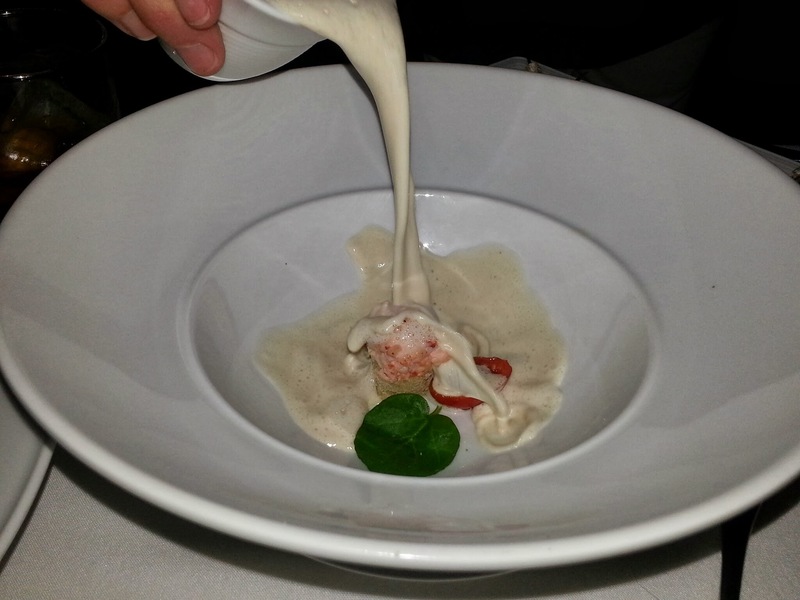 That lobster bisque looks phenomenal! So yummy! That strawberry desert looks amazing as well! I love trying different mac and cheese combinations. It’s nice to see the different variations on this staple side dish. All the food sounds delicious though. And, I’d love to try the Maid in Mexico drink. The lobster in the mac and cheese truly did make the dish extra special! The bread crumbs also hit the spot to give the dish a bit of crunchiness!! Maid in Mexico = Perfection! Wow- all these things look amazing! 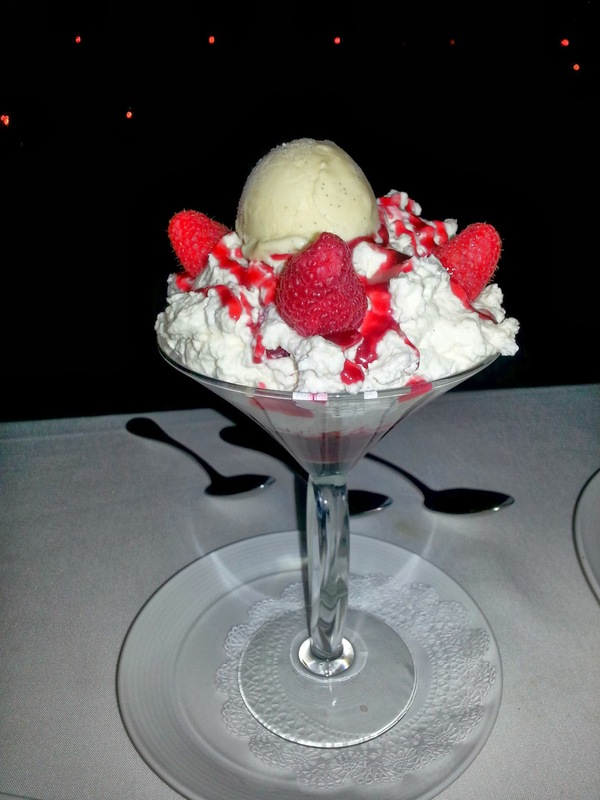 The dessert Strawberry “Eat and Mess” Meringue is BEAUTIFUL! Dear Dani, when it comes to sea food you’ve got a friend here. Thank you for this great deal. 🙂 Love it my friend! Ways and Means is the place for you! They have a great variety of seafood options for you Dov! You sure have some amazing places to chose from out there. Thanks for sharing. Fresh oysters…sounds like my kind of place. I’ll be heading there soon! Amazing looking food as always. Still can’t find any place up here that serves the tastiness you are always posting on your blog! That roasted duck has my name all over it!! LOL! 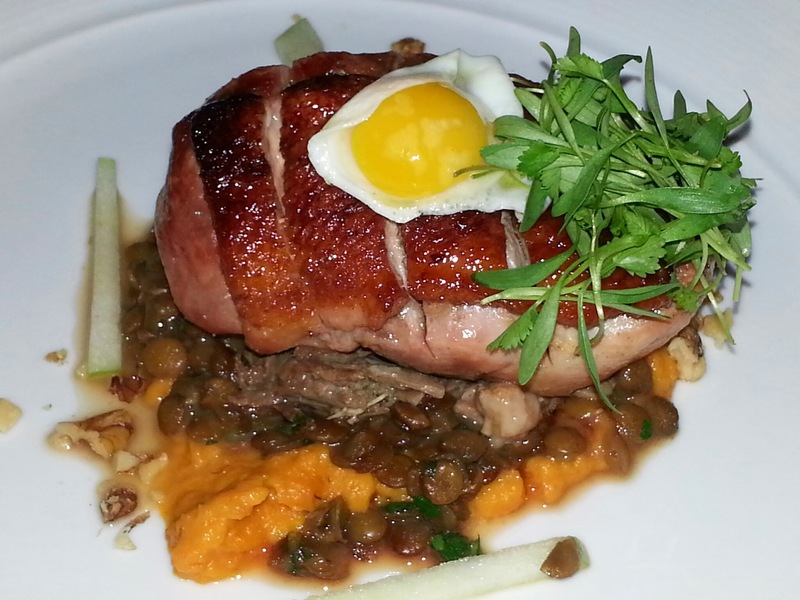 I told you…let me know when you are coming out to California:) Duck is amazing!! Yum!!! Awesome! You would really love it there. 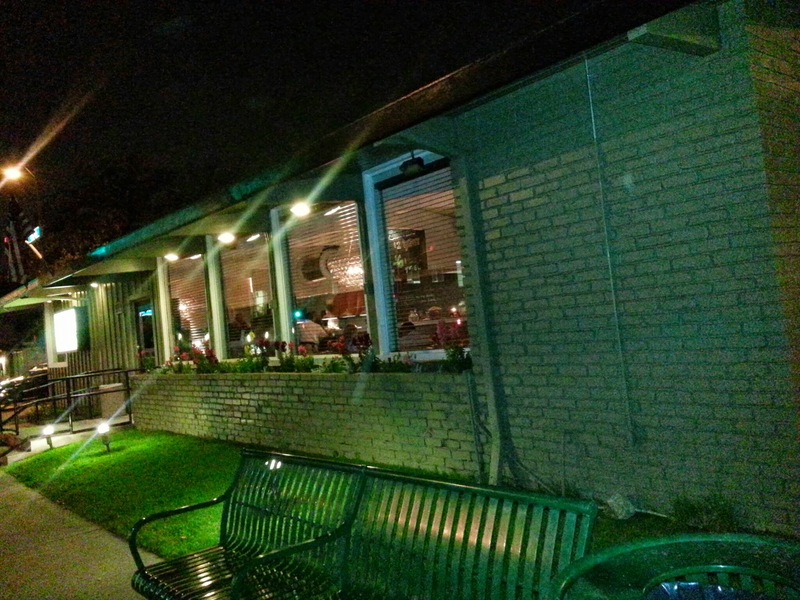 It is a great place for a date night:) Thanks for the comment! Gosh, another amazing restaurant that you’ve shared. Not sure if I’m happy or sad I don’t live there to enjoy all of the restaurants you feature…could weigh over 300lbs if I did live there.